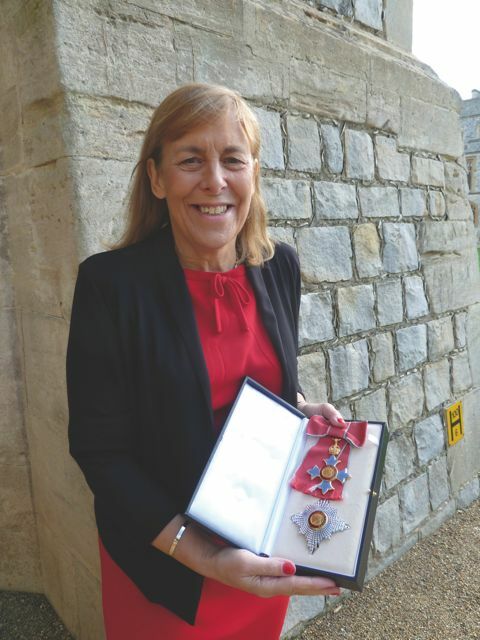 People, publishing, and policy: Q&A with Janet Thornton, director of the European Bioinformatics Institute. 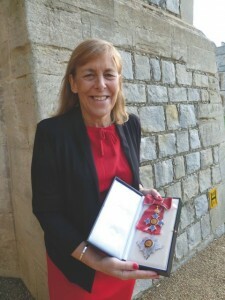 Janet Thornton has been named Dame Commander of the Order of the British Empire. She feels it is an important recognition of bioinformatics. The scientist profiled in the February issue of Nature Methods (the Author File) is Janet Thornton, the director of the European Bioinformatics Institute. Here, she shares some additional insight about publishing, science policy, and mentoring. What follows is an edited excerpt of her conversation with Nature Methods. Read more here. VM: In an era of not-so-plentiful funds, ELIXIR (interviewer looks up acronym…)—the European life-sciences Infrastructure for biological Information—and other initiatives takes you deep into policy-making. Which tends to not resemble a picnic on a sunny Nottinghamshire day. What motivates you? I honestly believe that these initiatives are the best way forward because, despite the setbacks, everyone broadly agrees. So it is a case of getting through the politics and making the science happen. As we know, science has no borders—and all scientists agree with this—so in the end, common sense will win and we can go forward. VM: You have published around 400 papers. What does a paper mean to you? JT: Probably for me the most important part of the process of science is publishing a paper. Because it’s the time when you really sort out what matters, why you did it, what you discovered and then you try and make it understandable for other people. And I have to say I get really upset when my papers are rejected. VM: What types of papers do you enjoy reading? JT: I love reading good solid papers, which are logical and explain how the results are obtained and why they are important. I used to spend hours in the library, like a detective tracking down information and knowledge. VM: Rumor has it, you still present posters. I don’t often present posters but there was one particular occasion when the University of Cambridge organized an event and they asked all the senior staff throughout the university to present posters. That was the last sort of official poster presentation. Of course, my students and post-docs have posters all the time. And I do man those posters as appropriate. It’s fun. You talk about your work. VM: What is the best way for a scientist to select members most suited to his or her lab? JT: Five things I look for: a) Bright/clever, b) Committed and interested in a project or area of research, c) Relevant expertise – though this is not the most important thing, d) What does the lab think? e) Would I like to have a meeting at 9am on a Monday morning with this person? VM: Computational resources in the life sciences are not always appreciated. What do you recommend to scientists keen on being and staying tool-builders and resource-providers? JT: Find a good place to go to follow your dream; find someone you want to work with and prepare yourself for the future. Not all scientists can be principal investigators (PIs), nor indeed want to be, so the key is to find your own niche. JT: I am afraid I am biased—go with biology—it is amazing, beautiful, complex, but still an open book with lots to discover. And even if this were not enough, it has so many really important applications —many of the so-called grand challenges that will literally affect the future of this planet and everyone on it.